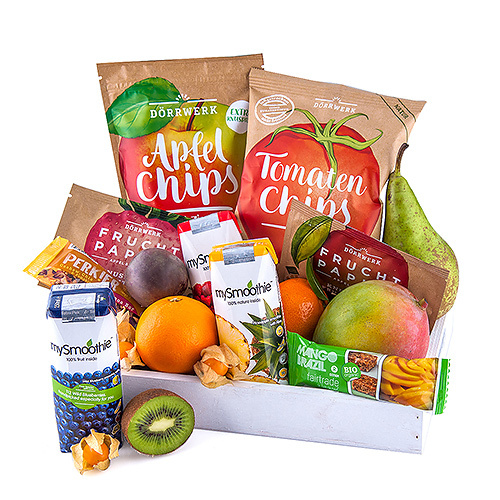 Enjoy the tempting sweetness of fresh fruit and superfoods with none of the guilt! 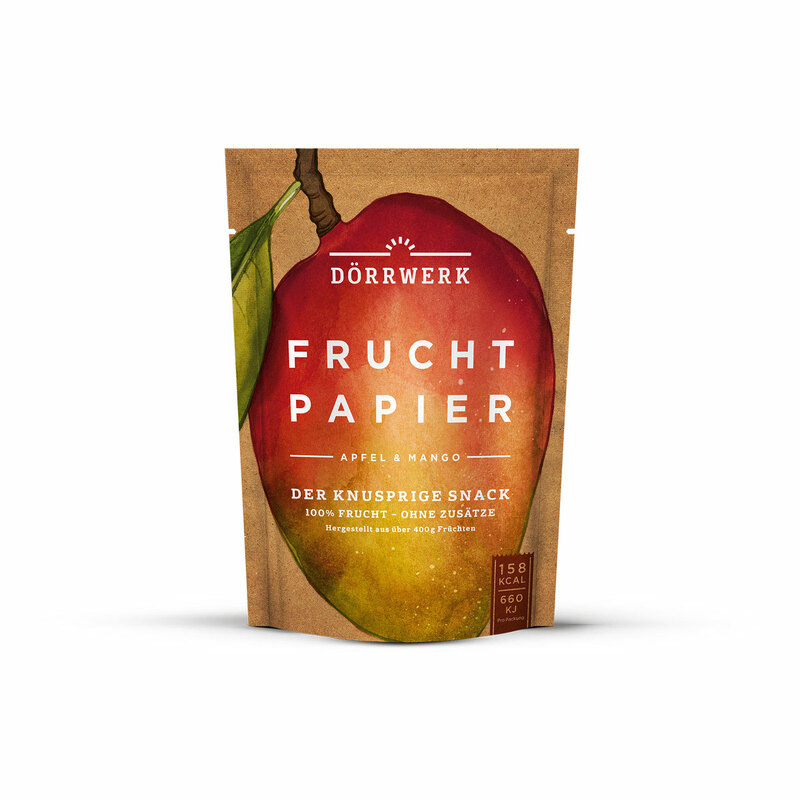 A chic white serving tray is filled with a delicious assortment of classic and exotic fresh fruits, refreshing mySmoothie drinks, energizing snack bars, and the best dried fruit snacks by Dörrwerk. 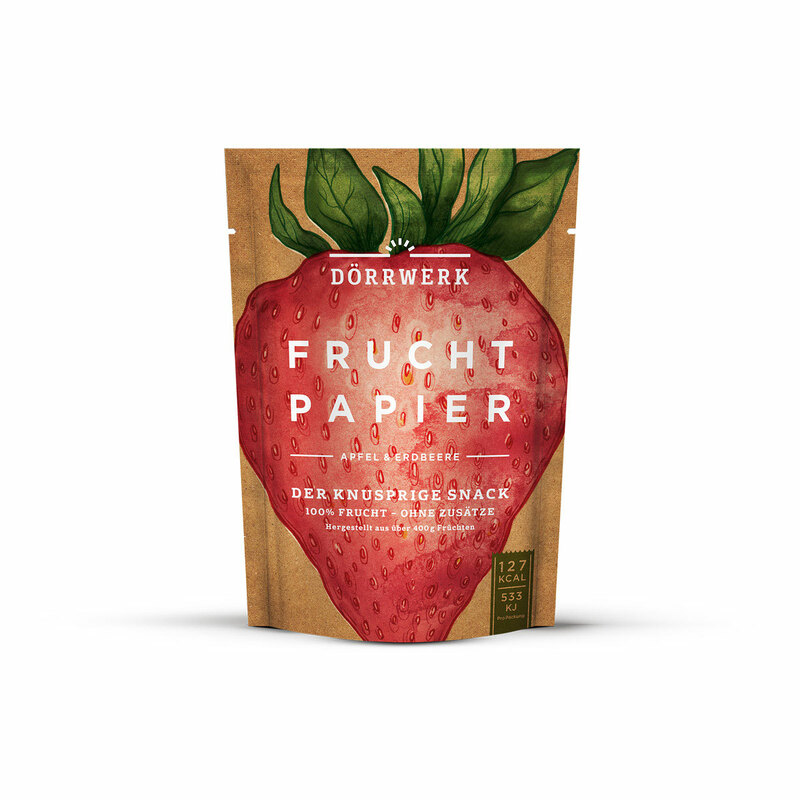 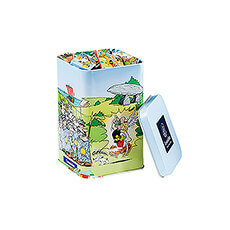 Gourmet Dörrwerk fruit crisps and fruit paper are a sweet, satisfying snack any time of the day. 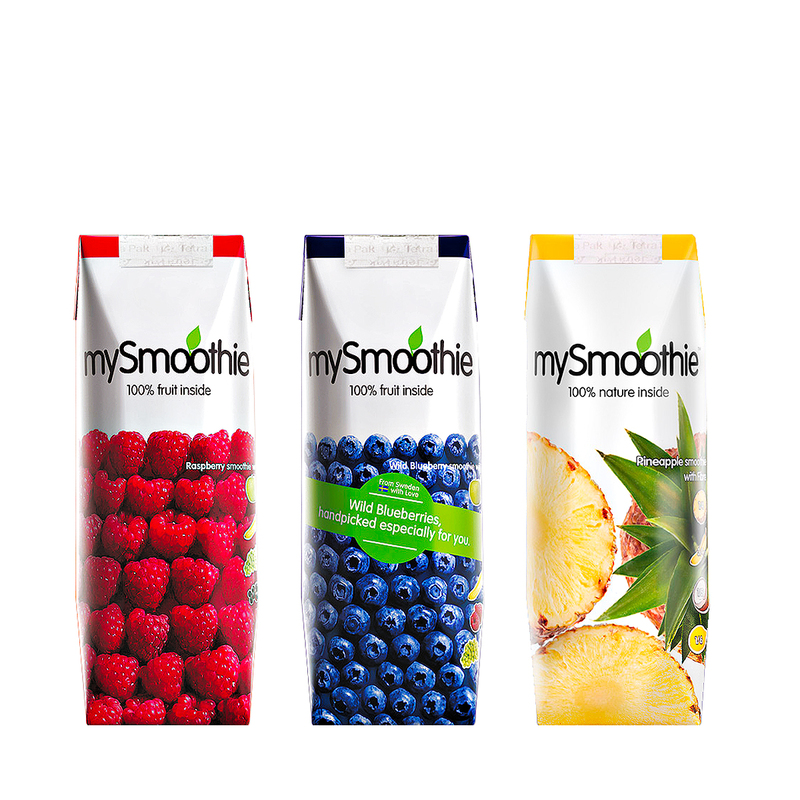 A trio of mySmoothie 100% fruit drinks is offered in pineapple, blueberry, and raspberry. 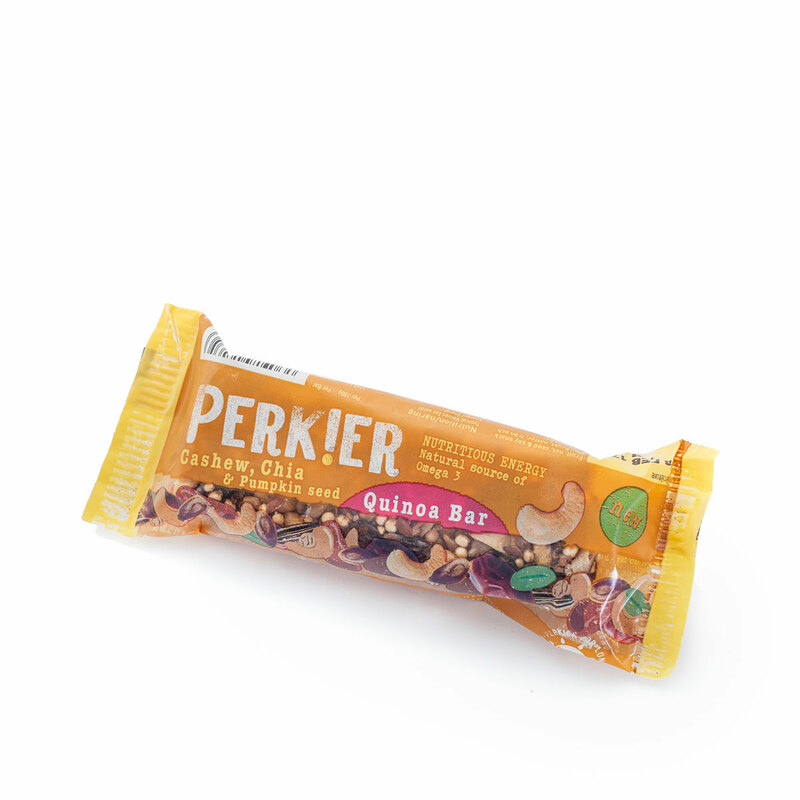 Fruit and grain snack bars from Oxfam and Perkier are the perfect grab-and-go treat. We hand pick the freshest seasonal fruit, including a lovely baby pineapple, to ensure that your friends and family receive only the best. 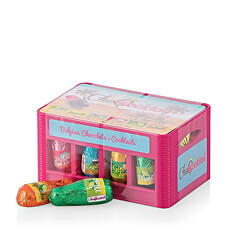 Both healthy and delicious, this is the perfect gift idea for any occasion. 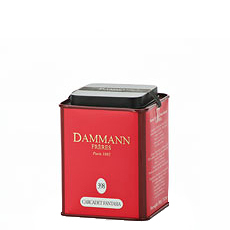 Ingredients: Pineapple juice (61%), banana pulp (24%), coconut milk (10%), dietary fibre (chicory fibre 3%), lemon juice (2%). 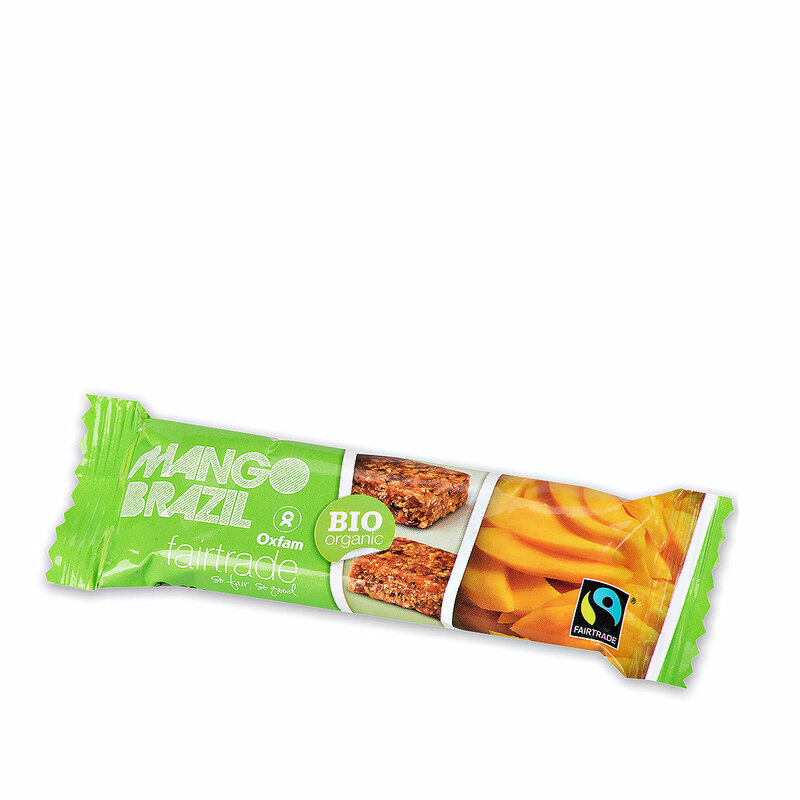 Ingredients: Mango (35%), honey, rolled oats, brazil nuts (10%), rice crisps (rice flour, raw cane sugar, sunflower oil, malted barley flour), concentrated apple juice. 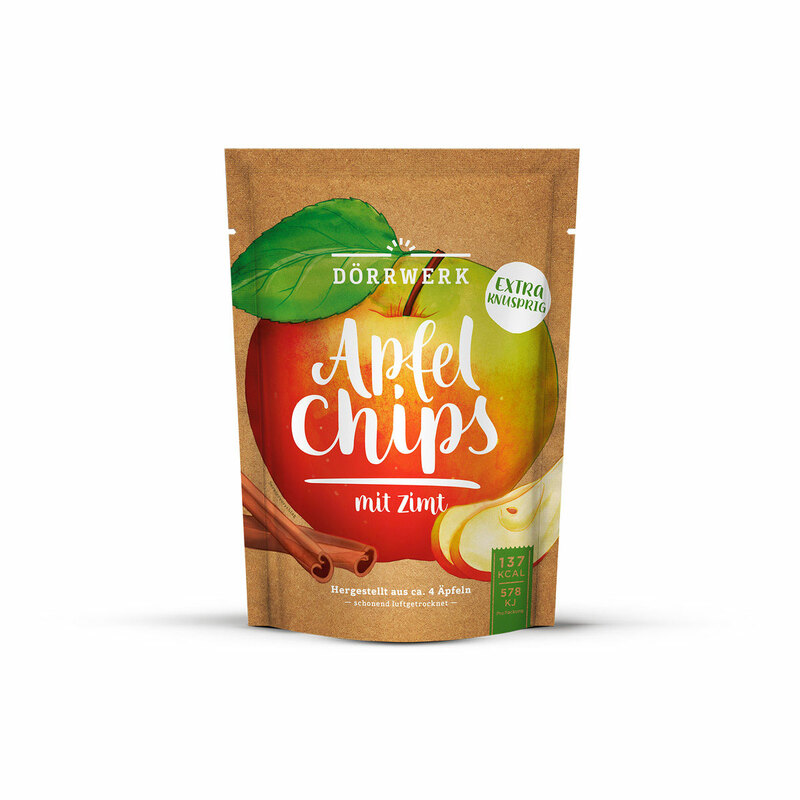 Allergy Advice: Contains nuts and gluten. 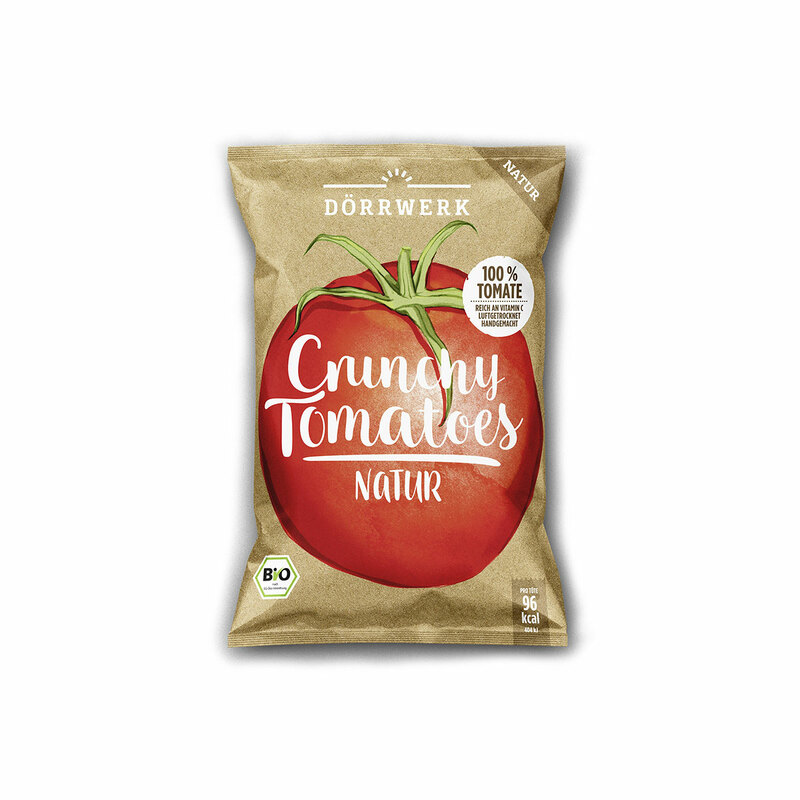 May contain traces of soya, sesame seed, milk.